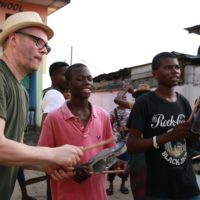 In February 2018, Èkó Samba were delighted to host UK samba legend, Joe Hanson for 10 days. 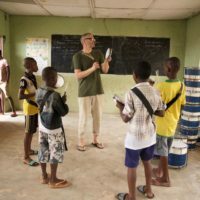 This was an incredible experience for everybody involved, and has had a profound lasting impact on the children and young people of Èkó Samba Community. Watch our 30 minute documentary on Joe’s visit to Lagos! Joe Hanson has been playing, teaching, directing and performing samba across the UK, Europe and around the world for almost 30 years. 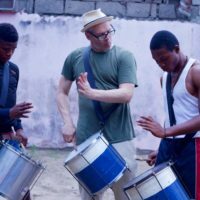 Joe is also one of the founders of Bloco X – a super samba bateria comprising of some of the best players throughout Europe, that means annually. Èkó Samba is especially connected to Joe, as he is our founding father and Musical Director, Seyi Ajeigbe’s samba mentor. As such, it was a huge priveledge to have Joe join us in Lagos for 10 days, to impart wisdom, improve skills and even more significantly, to bond with our young aspiring musicians. During his visit, Joe spent time with different section of our bateria, assessing them and then working closely with them to improve their technique. He worked with the beginners group, as well as the tamborim section, the repique section, the agogos (bells) and the caixas. Joe also taught the main bateria some new drum calls and breaks, some which he has developed himself. Joe’s unique insight into the more intricate layers of Brazilian samba and his ability to communicate this to our young musicians was invaluable. If that wasn’t enough, Joe also has a knack for fixing and building things and so he worked closely with our instrument team, headed up by one of our Assistant Musical Directors, Emmanuel. 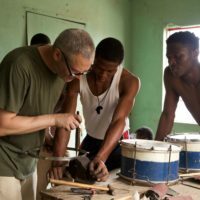 Joe taught Emmanuel and his team some new ways to repair the drums as well as opened up their minds to new ways of building drums from scratch. Joe blended with such ease into Lagos life and we had him hopping on and off motorbike taxis and pounding yam in no time. It was also incredibly important for our young drummers to connect with such a prominent sambista on a personal level. They grew leaps and bounds. We have noticed an increase in confidence and self esteem in a number of our young members following their time conversing with and learning from Joe. The legacy of Joe’s visit is very much visible in our day-to-day activities and exchanges and we are sure the impact will be long lasting. To view the full collection of photos from Joe’s visit to Lagos please click here. “My first encounter with Èkó Samba… wow! It took me straight back to the first time I ever saw a Samba Bateria playing in Rio de Janeiro. Since then I’ve played in many different baterias in Rio Carnival and in many different countries but nothing had taken me back to that first magical experience until I walked into my first Èkó Samba rehearsal. The kids were just so in it, so fluid, fluent, engaged, natural, physical, raw, pure. And yet they haven’t grown up listening to, seeing, witnessing this music. It surprised me so much to see just how strong a connection exists between these two cultures separated by so many influences, miles and years of history; but seeing Èkó Samba playing was like seeing samba coming home. I saw two boys aged about 9 or 10 playing repique and improvising like nothing I can compare to except the best of the best from Rio – and even then they make the Brazilians look like they’re taking it far too seriously. And these boys have only been playing for a few years! Joe pictured with the bateria after a great rehearsal. 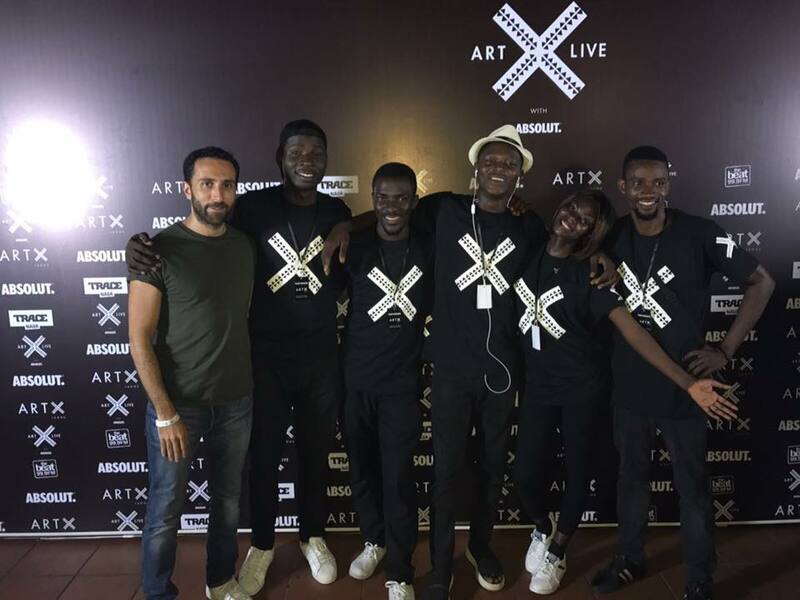 In November 2017 four of Èkó Samba’s talented musicians participated in Art X – ‘West Africa’s 1st International Art Fair’ – performing alongside the best and most innovative contemporary artists from the African continent and diaspora. 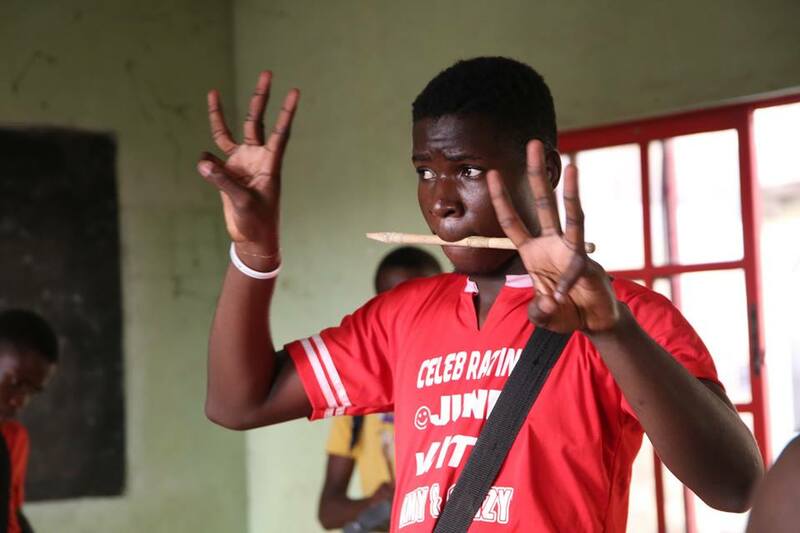 This consisted of playing percussion on eight fusion songs in which well known contemporary Nigerian songs such as “Ohema” by Mr Eazi, “True Love” by 2Face and “Pakurumo” by Whiz Kid were remixed and remolded into something new. 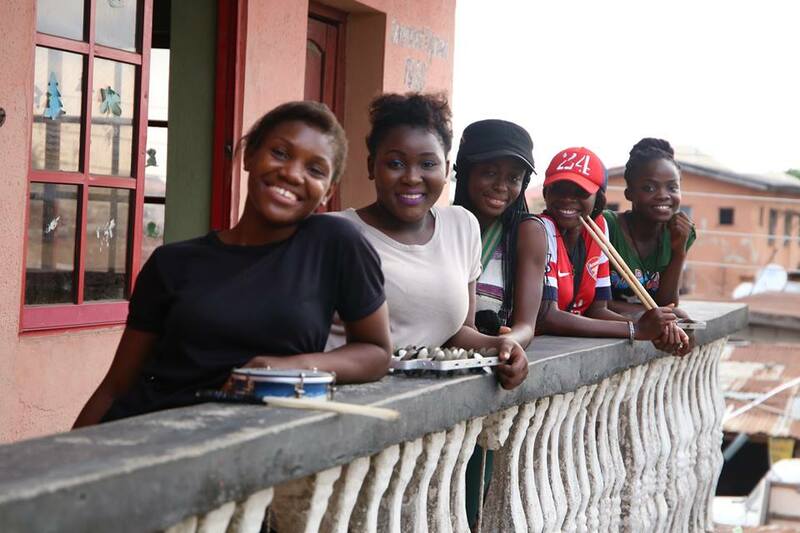 This was an experience that our young drummers never imagined they would be part of and has dramatically increased their sense of confidence, self-worth and belonging as musicians here in Lagos. “Musically Art X was good for me because I was able to fuse two or more things together. At Èkó Samba Community we are used to a particular kind of music and then we were able to collaborate with other professional musicians. It was challenging but it was worth it at the end. So musically, it expanded my own experience – to see how I can contribute from what I know how to do into something else. That’s … super creative. “ I met a lot of people from different fields and skills and had a lot of fun, doing what we know how to do. I got to meet people from other types of backgrounds and communities that I would never normally meet and that was an incredible experience for me and also beneficial to the rest of Èkó Samba Community. In October 2016, Èkó Samba Community were delighted to welcome Liam Emerson to Lagos, from across the seas in London, UK. 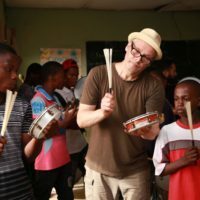 Liam started playing the drums aged 11, and was introduced to Samba Reggae at 14 when he joined Batala Portsmouth, which is part of a global network of Samba Reggae bands. This ignited his love for Samba Reggae, and he has been addicted ever since. Liam has performed in Wembley stadium, was part of ITV’s opening video for the 2014 World Cup, participated in Salvador Carnival, and was the Musical Director of Batala London for five years. We were lucky to have Liam stay with us for an entire month, over the course of which he taught us a lot of new things and deepened their appreciation for Samba Reggae. Even today, a year and a half later, we still play breaks and use drumming techniques that we learned from Liam. During his month in Lagos Liam made sure to see as much of the city as possible and even ventured to other Nigerian states. 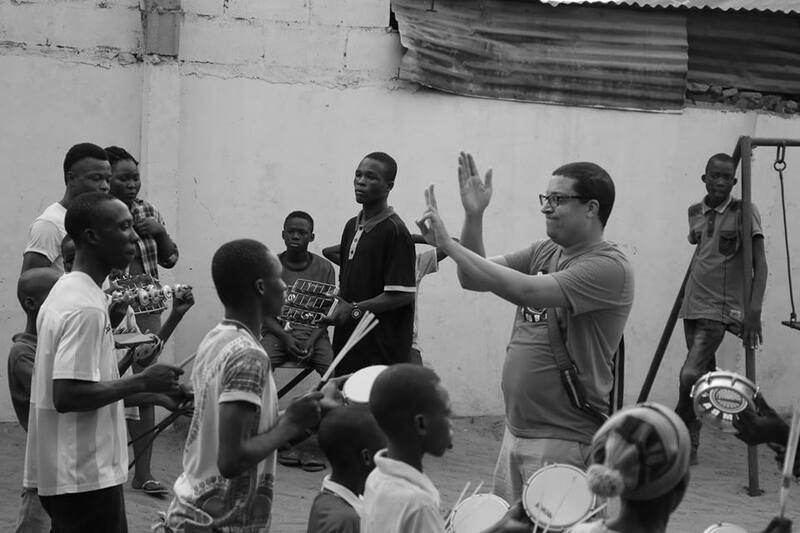 Liam became part of our community, playing, teaching and directing at weekly rehearsals and even joined us on outings across Lagos such as the White Space Block Party and Calabar Carnival launch party. 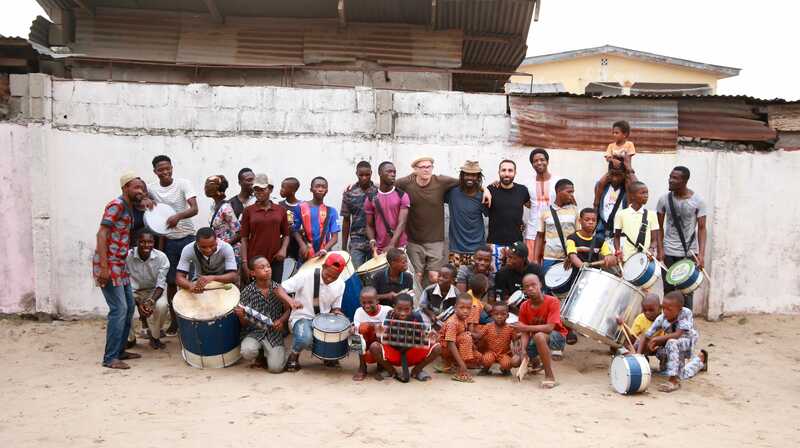 Liam was blown away by our kids’ talent and skill, and commended Èkó Samba Community on our efforts to bring music and community spirit to our little corner of the world. 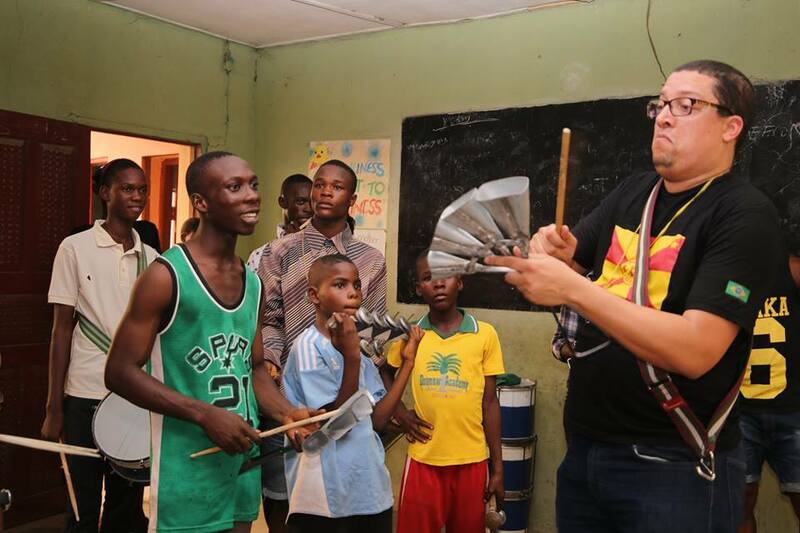 Having someone like Liam visit the kids and help them develop their drumming skills is invaluable, and reminds us of the power of music, and its ability to traverse continents and bring people together. 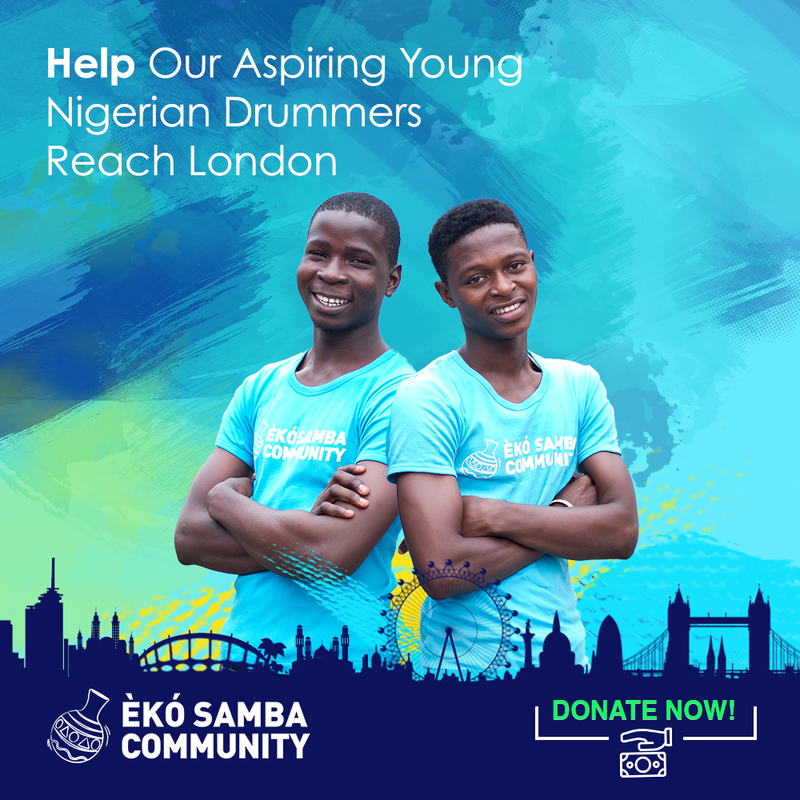 Through Èkó Samba, we try to give our young drummers both roots and wings; by bringing Samba back to its roots, from Brasil to West Africa, and by showing them just how far they can fly. Liam taught them a lot during his time with us, but we’d like to think that the kids taught him a thing or two as well. In February 2017 Èkó Samba Community welcomed its first visiting Samba Director, Dana Monterio, from Harlem, New York, USA. 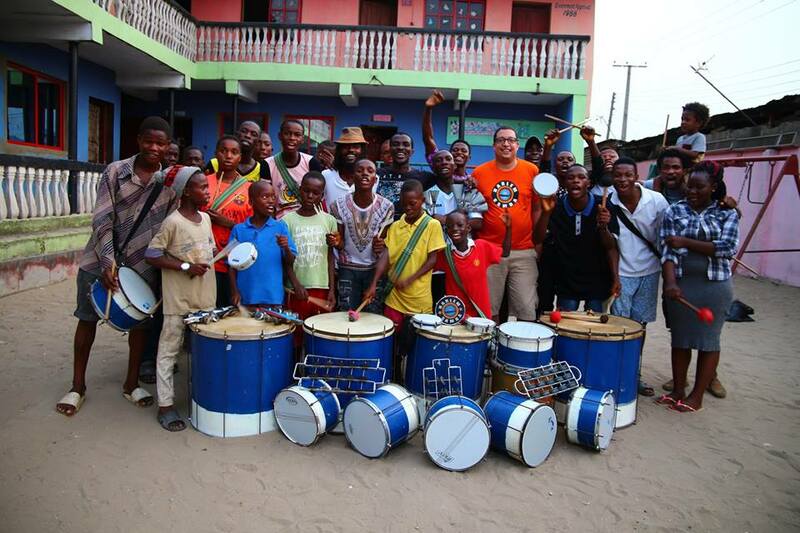 Dana facilitated a donation of some brand new instruments from Contemporânea in Brazil (his sponsor for the visit) and delighted the kids with new rhythms and breaks. Dana has been directing Harlem Samba since 2006 and teaches on average 400 students per week at the Frederick Douglass Academy. 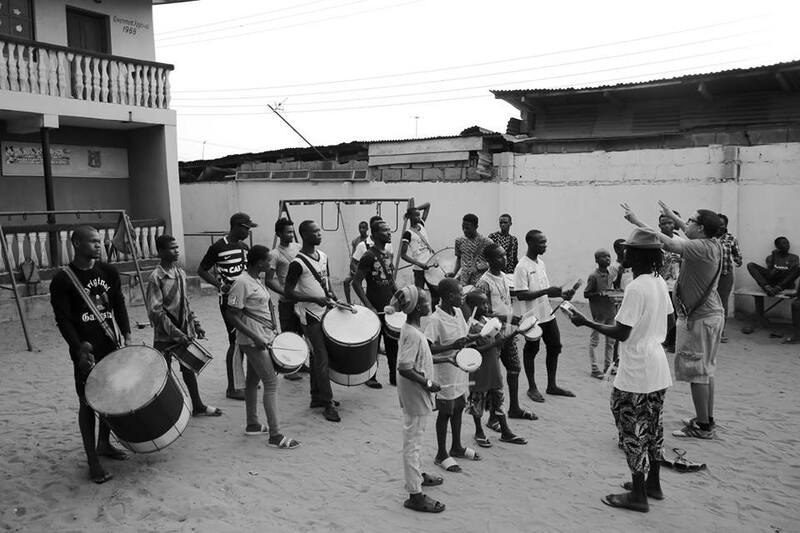 This cultural exchange in Lagos through the globally spoken language of samba was an invaluable experience for the children and young people of Èkó Samba Community. In just one week of workshops they were able to grasp and learn multiple new breaks and beats. Dana challenged the kids because he felt they could handle everything he taught them – and they could. It was a week full of fast paced drumming sessions and the kids really enjoyed having Dana here. 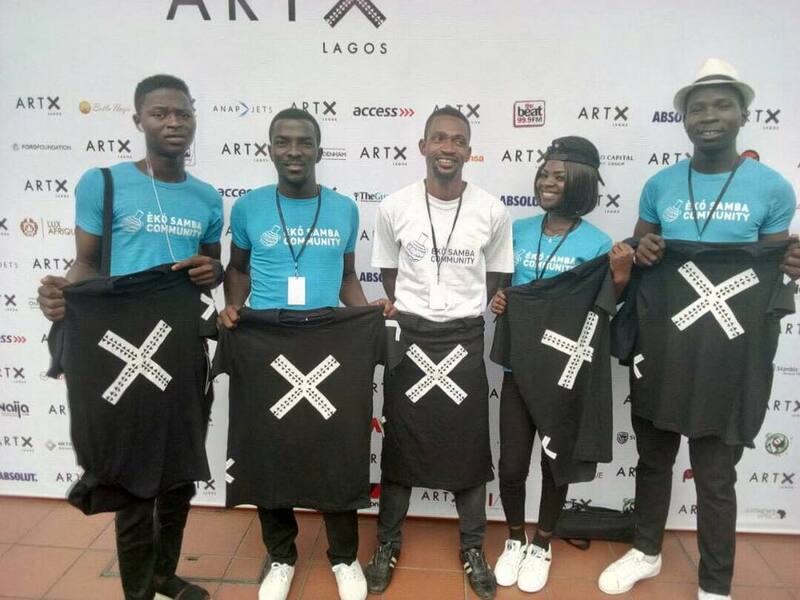 It is a testament to their natural talent and the solid foundation they have already built over the years with our Musical Director, Seyi Ajeigbe, that they were able to keep up and learn so much. Dana teaches our drummers a Harlem Samba break. Dana’s visit demonstrated the positive impact that cross-cultural exchange has on our children and young people, which is why it is a core part of our programme. 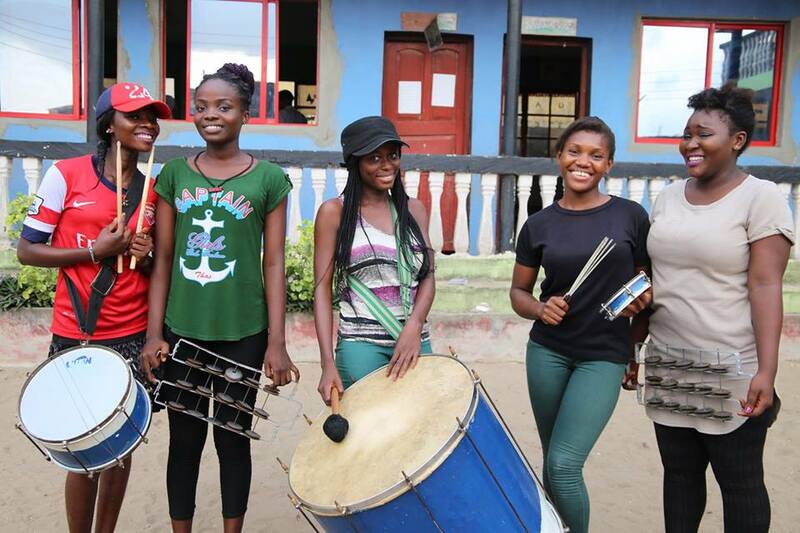 Whether the kids are being taught something new in Lagos by a visiting samba player, or they travel internationally to develop their learning through workshops and events, the common theme is that they are able to connect to an international community through the language of samba. Many of our members are now very much fluent in samba and are ready to develop their skills to the next level, which Dana’s visit certainly did. “It was such an honour to work with the Èkó Samba Community. Everyone has so much passion for samba. The group plays with such great energy and enthusiasm. Visiting Lagos was a wonderful experience. I look forward to seeing the progress of the Èkó Samba Community in the future. 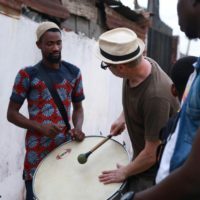 I hope to return to Lagos to play samba with them again and I hope others decide to go to Lagos to see these fantastic samba musicians for themselves.” – Dana Monterio, Harlem Samba, New York. All smiles after a workshop with Dana. To view the full collection of photos from Dana’s visit, click here. 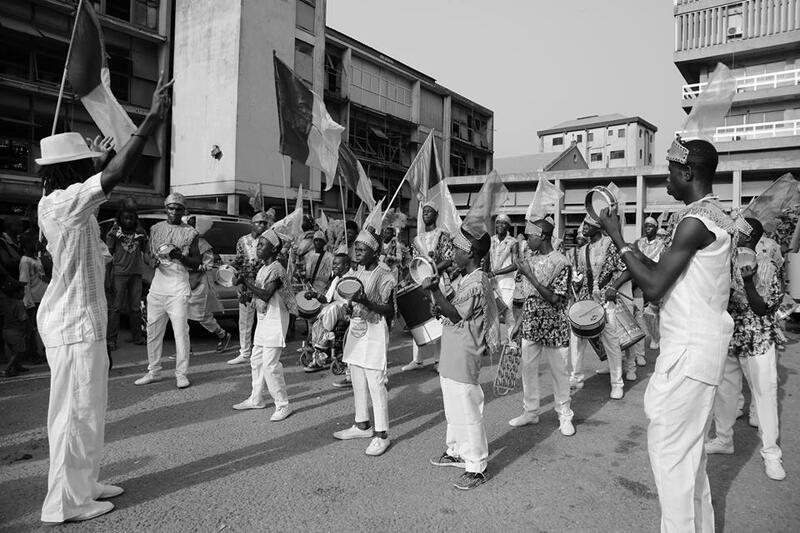 On 25th December 2016, Èkó Samba Community paraded in Lagos Island as part of the long-standing Fanti Carnival. This Carnival was started by the Brazilian Descendants of Nigerians, who returned to Nigeria once slavery ended. It is a manifestation of their enduring connection to their Brazilian roots, with hand made costumes, live music and a parade that runs through the local neighbourhoods of Igbosere, Lafiaji, and Campos within the Brazilian Quarters. 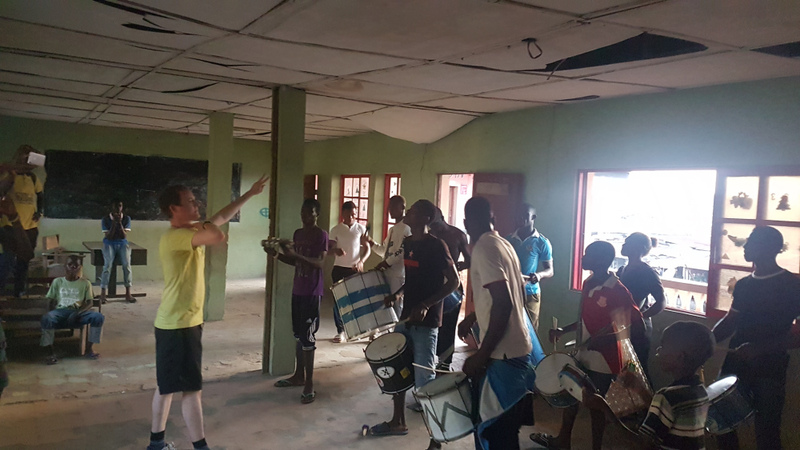 Our Musical Director leads 30 drummers in a warm up before they take to the streets of the Brazilian Quarters, Lagos Island. It was an honour for Èkó Samba Community to be part of this event and further strengthened our connection with this kindred community. 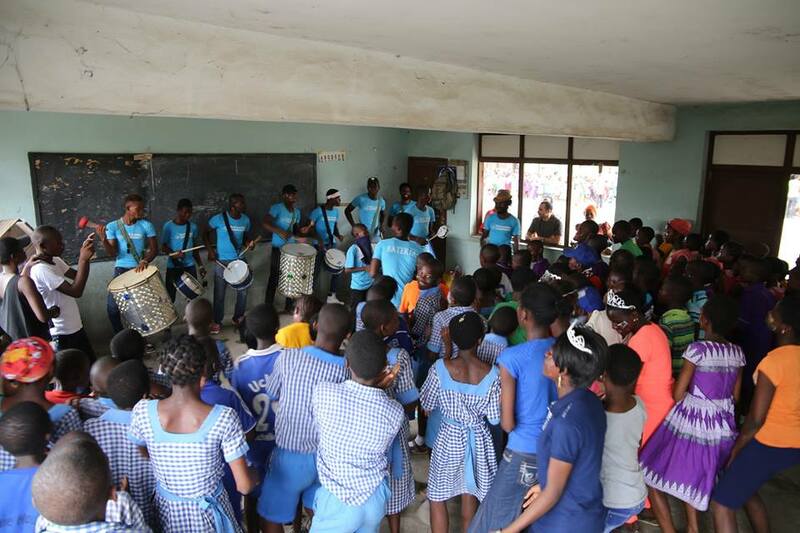 A group of 30 kids paraded and drummed non-stop from start to finish for almost fours hours. The energy was electric and our drummers were very well received by the local community as well as other participants of the Carnival. 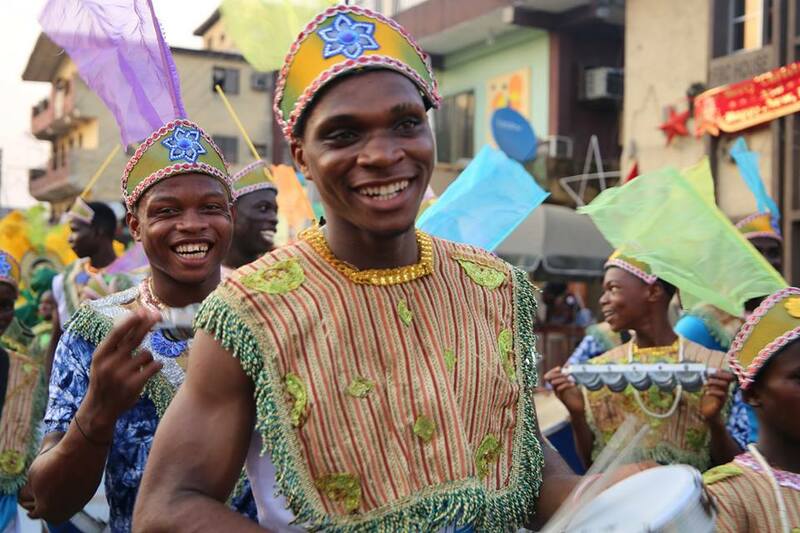 Two of our drummers are caught in the pure joy of parading at Fanti Carnival. 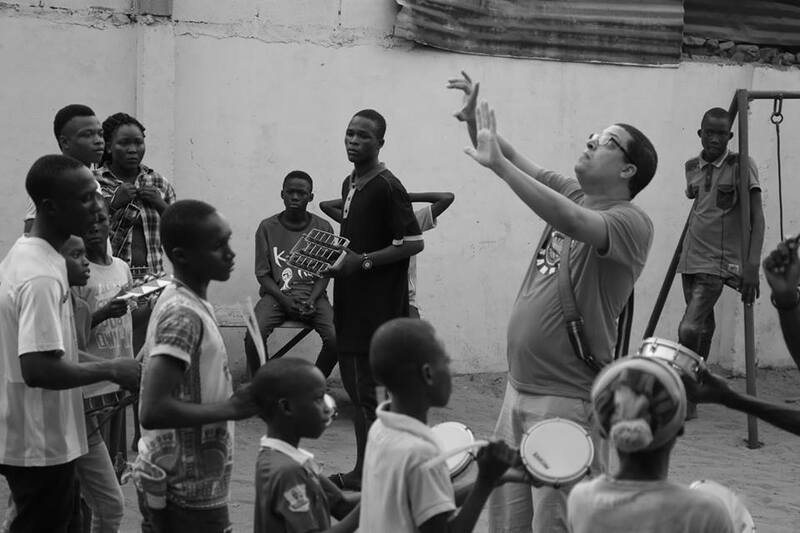 Our Musical Director Seyi calls the attention of the drummers as they parade through the historic streets of the Brazilian Quarters in Lagos Island. Click here to view our full collection of photos from the Carnival. 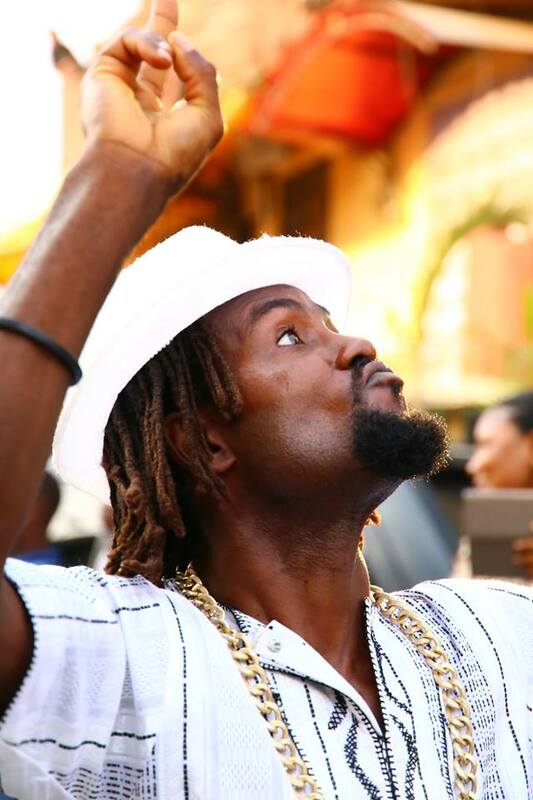 In December 2016, Èkó Samba Community was invited to feature on the official song for Calabar Carnival. As a result, a group of nine members from a mix of age groups were selected to attend a recording session with the highly acclaimed Asuquo Cobhams at his studio in Lekki. This was quite a pivotal moment for many of these kids – as their talent and abilities were praised from a highly successful producer from the popular music world. 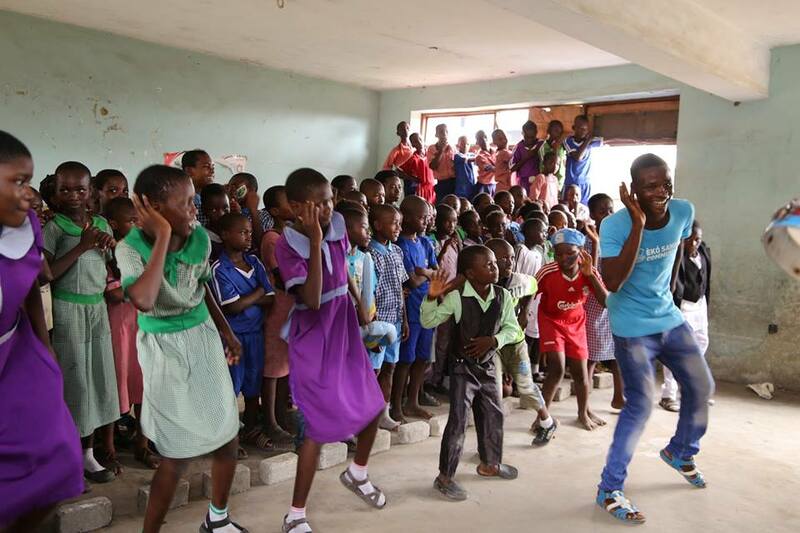 This experience had a significant and lasting impact on the self worth of these children and young people – which is something we continually strive for at Èkó Samba Community. By teaching children to lift themselves up and know their worth for simply being who they are, we believe we can help change their outlook on life and the way they see themselves. 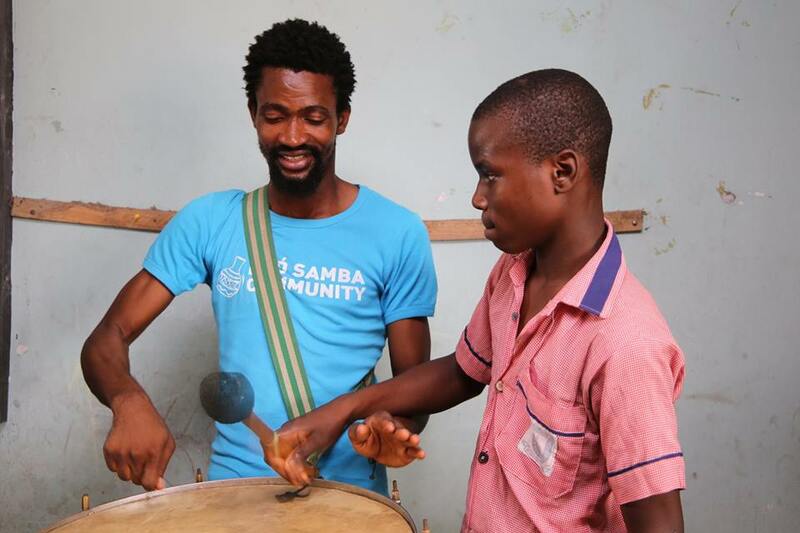 Èkó Samba Community teaches children and young people to respect themselves as well as others, and to celebrate their natural gifts and differences. Since our establishment in 2011 we have strived to include a true mix of children and young people, as a reflection and representation of the diversity within Lagos. However it is only in recent months that we can proudly say we now have young women drumming as part of our group. Since September 2016, seven young women have now joined our drumming group – a real breakthrough for our community. Five out of seven of our new female members relax after rehearsal. Through regular engagement with the local community and encouragement from their male peers, we have managed to transcend the gender boundary that exists here in Nigeria. 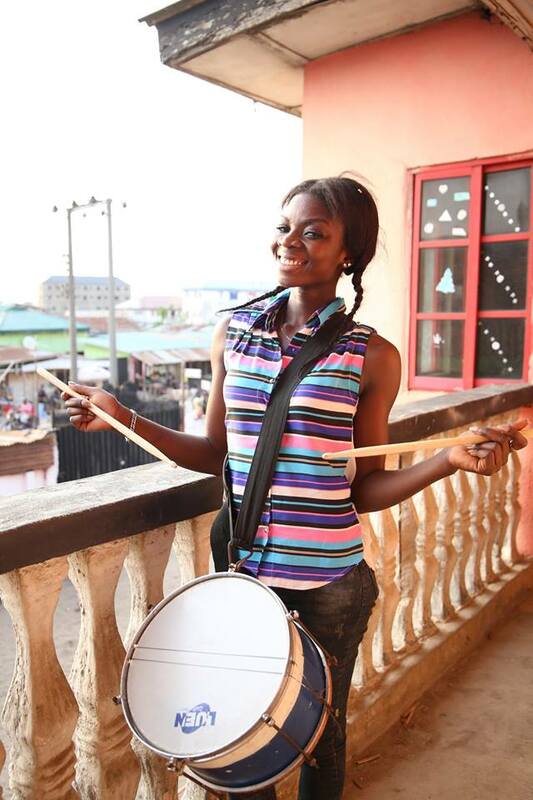 These young women finally felt comfortable enough and confident to join in drumming, which is stereo-typically a male dominated art form in Nigeria. We are very proud of our female members and hope that even more will be joining us soon. Some of our new female drummers pictured here with their chosen instrument. On 9th December 2016, Èkó Samba Community was invited to take part in the Orile Iganmu Nursery and Primary School Christmas/ End of Year Party organised by Kinabuti. Our Musical Director, Project Coordinator, two Assistant Directors as well as six other members of ESC attended. Throughout the course of the afternoon, they gave samba workshops to 1,000 young children. Young school children rush to the front to see our drummers demonstrate how to play samba. A student tries his hand at playing a samba drum for the first time. Opportunities like this help our more experienced members to develop their social responsibility and teaching skills, as well as build their self-esteem. 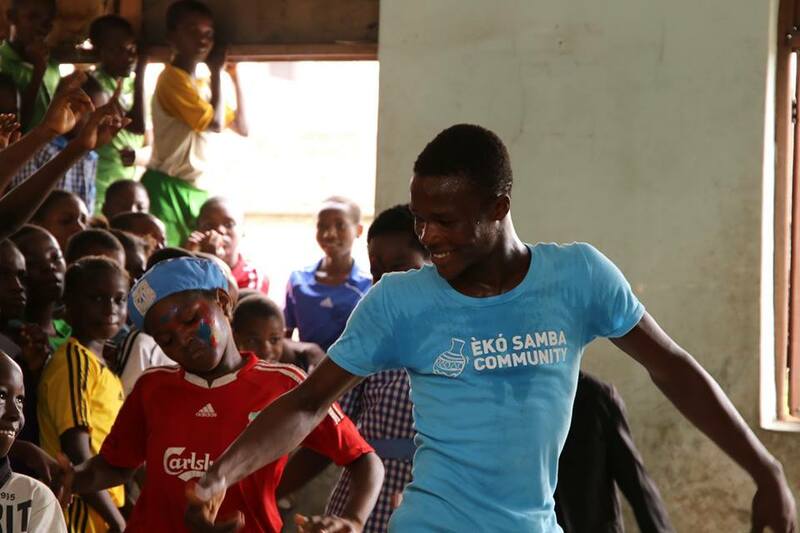 Developing the young peoples’ transferable life skills is at the core of what we do at Èkó Samba Community, empowering them to be self sufficient, determined and in control of their own destinies. Naturally the day was rounded off with a performance by Èkó Samba Community, which had all the kids (and teachers) dancing. Our resident dancer, Soma, leads the school children in an impromptu dance workshop. Our resident dancer Soma leads the school children in an impromptu dance workshop. It was an incredible day, full of excitement from the school kids and a lot of hard yet rewarding work from our members. 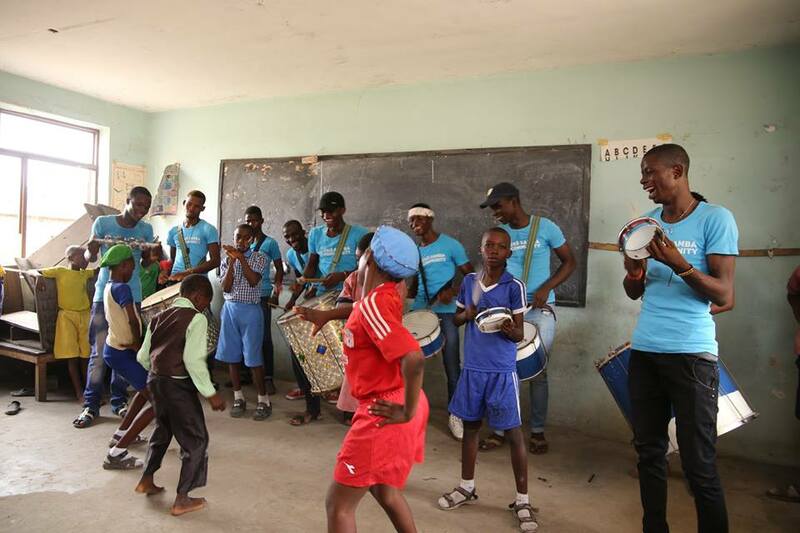 Ultimately this was a great experience for some of our older and more experienced members to teach samba, share their skills, and impart something positive to these young children. A full collection of photos from the day can be found here. Our drummers enjoy the school children’s dance competition. Our Founder and Musical Director, Seyi Ajeigbe, is currently being featured on CNN International’s African Voices. 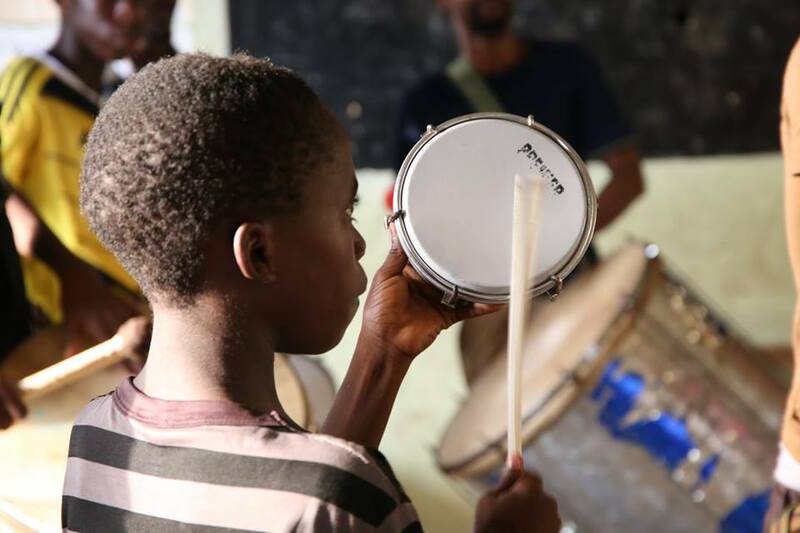 He recounts how our drumming project came to be, and talks about what inspires him to achieve even more with these talented kids.